Since then there have been a couple of EGMs (Extraordinary General Meetings) so that we could formally approve the precise changes to the constitution/paperwork. Pain in the neck, but we have to do things properly! 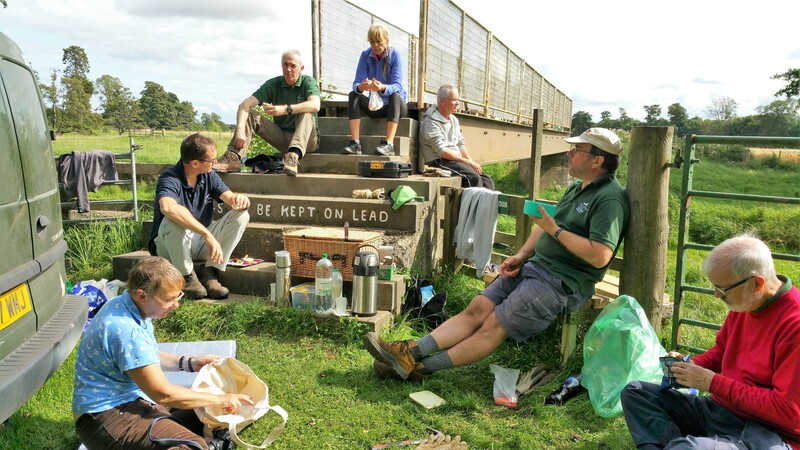 Our priorities for the rest of 2017 and beyond are the Athlestaneford/Tyne Path link, and the charity expansion/merger/morphing/migration into/with the rest of the conservation volunteering groups, to be called the East Lothian Countryside Volunteers – the ELCV. Watch out for the new Website and Facebook Page, which will cover all our volunteering, not just the Path Wardens. Graham & Maxine, the path wardens for core path #2 from Bolton to Gifford, led us on a walk along the route, explaining the various ways they have looked after it, and fully identifying all the flora on the way. You’ll probably have seen the report in the June BBF newsletter but this is more animated version! Have you enjoyed being a Path Warden? Want to know more about our plans – or even influence them? Or not really bothered with any of that – but interested in hearing about the Golden Eagle project, or how to write a Path Description along with a practical? Then come along to the AGM next Tuesday (23rd). (And if so, please let us know via pettigrewgraham@gmail.com or dpriddle@eastlothian.gov.uk, otherwise there might not be any lunch for you!). See the full agenda here. Terns are a protected species, and the Little and Arctic varieties are rare in the county. So annually the Countryside Ranger Service organise a “fence” around a key nesting site on Spike Island. See us volunteers hard at work helping (and Tara running round in circles) on YouTube here. Last year we finally saw success with four nesting Arctics(?). See what we are ultimately aiming at on this RSPB video! Looking for a new easy path?